The Oscars 2014 awards show will be live streamed on Sunday, March 2, starting at around 7 p.m. ET. on ABC. Ellen DeGeneres will be the host of the 86th Academy Awards, which will be streamed via ABC or the Watch ABC app. However, the live stream is available only from Verizon FIOS, T&T U-verse, Charter, Comcast XFINITY, Cox, Google Fiber, Midcontinent, and Optimum. It’s also only available in select areas, and one can check via this webiste. LOS ANGELES (AP)—After a blustery few days of torrential downpours, Hollywood appears ready for smooth sailing at the Academy Awards. 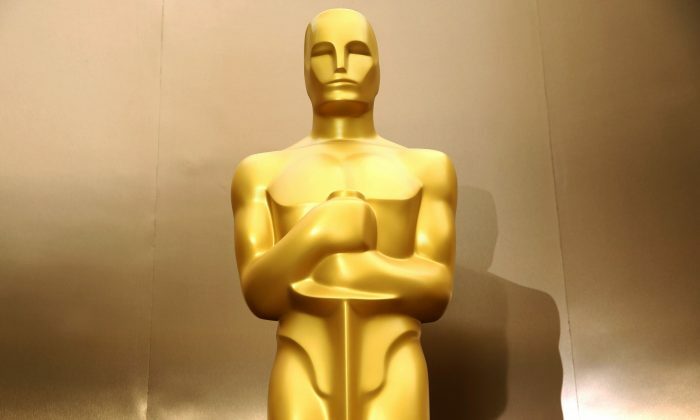 The 86th annual Oscar ceremony kicks off Sunday night from the Dolby Theatre. Unlike the stormy hosting of Seth MacFarlane last year, this Oscar show with host Ellen DeGeneres has a deliberately safe vibe of cheery song-and-dance. The nimble and amiable DeGeneres is expected to return the broadcast to more traditional territory. Many of the night’s biggest categories, too, seem to hold little chance for surprise. The well-established favorites include Matthew McConaughey, Cate Blanchett, Lupita Nyong’o and Jared Leto. Each comes into Oscar Sunday having won a parade of awards over the last few months, including honors at Saturday’s Spirit Awards. The night’s biggest question mark won’t come until the very end. The historical drama “12 Years a Slave,” the 3-D space spectacle “Gravity” and the con-artist caper “American Hustle” are vying for best picture in the night’s closest contest. “Gravity” is expected to lead the ceremony in total awards, cleaning up in technical categories like visual effects and cinematography. Mexican filmmaker Alfonso Cuaron is considered a lock for best director for seamlessly marshalling new digital technology to render the lost-in-space drama. He would be the first Latino to win the category. While the global hit easily topped the other eight best-picture nominees at the box office, the lower budget, less widely seen “12 Years a Slave” is believed to have a narrow edge for the academy’stop honor. Though voters last year chose entertainment over history lesson (Ben Affleck’s “Argo” over Steven Spielberg’s “Lincoln”), many see Steve McQueen’s brutal adaptation of Solomon Northup’s memoir as a landmark film difficult to watch but impossible to overlook. ABC, which is telecasting the ceremony, hopes the drama of the best-picture race will be enough to entice viewers. The show last year drew an audience of 40.3 million, up from 39.3 million the year before when the silent-film ode “The Artist” won best picture. LOS ANGELES (AP) — Before the big show, the Oscars have a casual day. That’s when the superstar presenters who will dazzle fans worldwide on Sunday practice walking onto the Dolby Theatre stage and delivering their lines in front of a small audience of show workers and rehearsal actors. Instead of glamorous gowns and tuxedos, most stars rock jeans and sneakers. When a pair of rehearsal actors stepped on stage to collect the award he was presenting, Smith pretended to toss them the prop Oscar used for rehearsals: a wooden version of the real thing. Some of the other 45 celebrity presenters rehearsing Saturday included Goldie Hawn, Harrison Ford, Robert DeNiro, Sally Field, Penelope Cruz, Viola Davis, Jennifer Garner, Jessica Biel, Kevin Spacey, Glenn Close, Tyler Perry, Anne Hathaway, Joseph Gordon-Levitt, Anna Kendrick, Bradley Cooper and Daniel Day-Lewis. Garner, who wore her show-day shoes with a blazer and jeans, offered some advice to first-time Oscar presenter Benedict Cumberbatch. She assured him he’d be great. Jennifer Lawrence, who arrived wearing no makeup, all black clothing and her short hair slicked back, shimmied and waved as she walked out on stage. Afraid to read the contents of the prop winner’s envelope, she jokingly presented her award to Ryan Seacrest. She did, and when rehearsal actor came on stage to claim the prize, she hugged him. Veteran presenter John Travolta also wore all black, from his jeans and tennis-shoes to his button-down shirt and ball cap. Kristen Bell and Michael B. Jordan needed a moment to collect themselves after looking at all the seat-saving placards in the audience that indicate exactly where the industry heavyweights will be sitting on Oscar night. “Will Smith. Jamie Foxx. Christian Bale,” Jordan said, reading the placards aloud. “It feels strange, yeah,” Bell responded. She wore towering platform heels on stage, but changed into a pair of sneakers as soon as she walked off. Kerry Washington, who wore a loose white blouse over cropped jeans with sling-back silver stilettos, delighted the college students who will carry the Oscar trophies on stage when she greeted them before her rehearsal. Channing Tatum, who helped select the students with Oscar producers, bonded with them backstage.